A diamond stud in a white gold rubover setting fixed with a round white pearl. 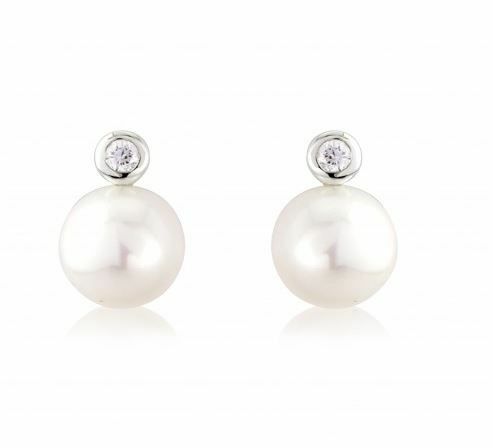 A wonderful twist on a classic pearl stud, this is one of our bestsellers and makes a foolproof gift. A matching necklace is available.